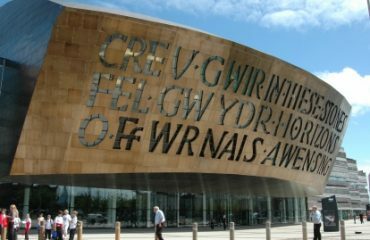 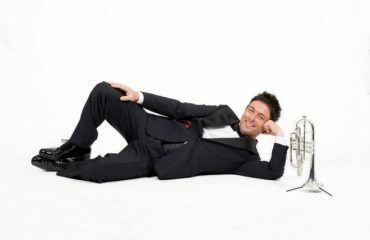 As Composer-in-Residence with Tredegar Town Band, Matthew was asked to arrange 3 pieces to perform at Wembley for the 2011 Champions League Final. 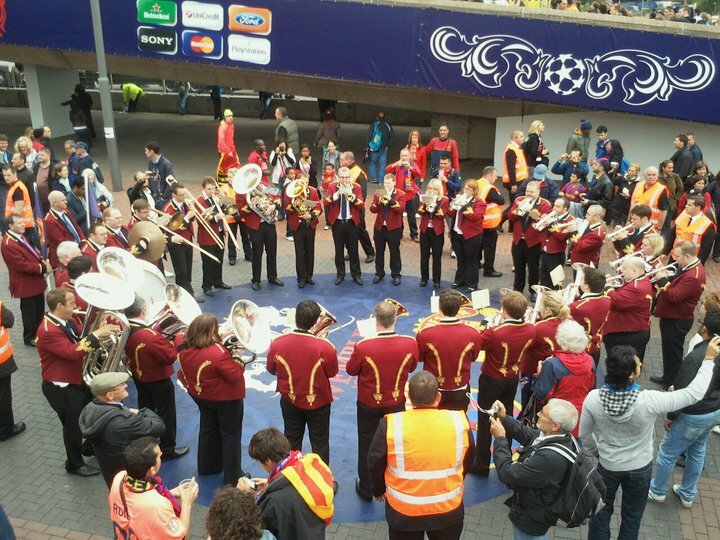 The band had been asked to perform to the fans arriving at the historic National Stadium, including playing the well-known ‘Champions League Theme,’ ‘Glory Glory Man United’ and ‘Cant del Barca.’ As no arrangements existed for brass band of these pieces, Matthew arranged each one for the band to perform in front of an estimated 150,000 fans gathered for the Champions League Final. 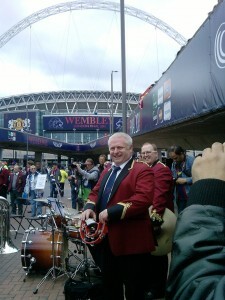 The amateur footage recorded below shows the band performing throughout the day before the football match, including the arranger conduting at one point also. 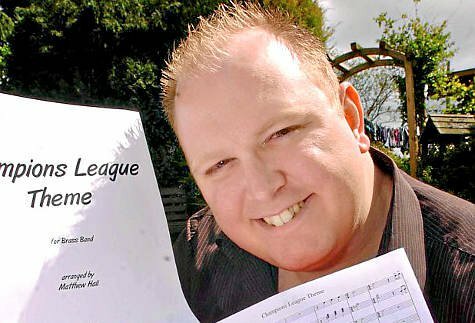 (Excuse the split notes)!